Nick Brown is a Computational Fluid Dynamics engineer, …… but he doesn’t let that get in the way of his insightful songwriting! 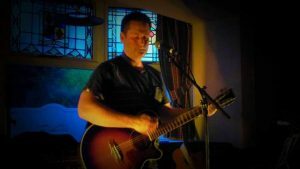 For 5 years or so he has been an ever-present in his hometown of Newcastle, playing the intimate venues that are a platform for singer-songwriters to bring their creations out of the darkness to be previewed by a like-minded audience. The positive reaction he received encouraged Nick to pull his songs together and get his music ‘out there’. 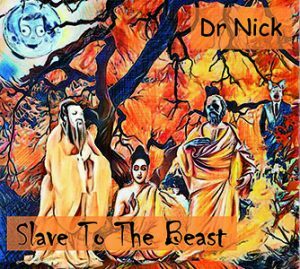 Dr Nick’s debut album is a collection of self-penned songs that came together over the theme of ‘things that control us’, whether on a global scale (politics, the media, big business, corruption) or on a personal scale (attachment, passive aggression, unrequited love). Slave to The Beast is available now as a CD and download in our Web Store. Also from all digital download and streaming platforms from early April 2018.